MyFirmsApp, developers of compliant, personalised Apps that put the accountant at the centre of the mobile world, has produced a One Stop Guide to help accountants who are planning a visit to Accountex on May 23rd and May 24th 2018. This year’s show is set to be bigger than ever with over 200 exhibitors showcasing new products, technologies and solutions, with over 150 expert speakers and over 180 CPD accredited Keynotes, seminars and workshops. This indispensable guide will make it much easier to plan the journey, where to stay and which sessions to attend. 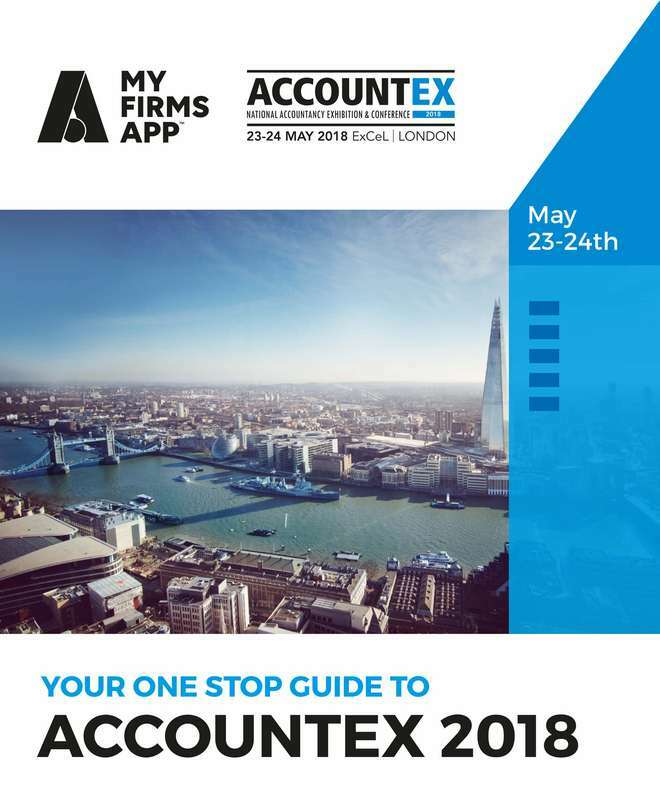 As a flagship partner of Accountex, MyFirmsApp has developed a special App that works in combination with the downloadable guide. The App is jam packed with information on all the keynote sessions, seminars and workshops and where to find exhibitors along with useful tools such as a Mileage Tracker and Receipt Manager. These can help to keep track of receipts and in preparing expenses claims, following the show. The App can be downloaded from either the iOS store or Google Play and is easily found by entering ‘Accountex’ in the search box.